Laurie Berkner Band Coming to Town! Want to be the coolest mom or dad EVER? 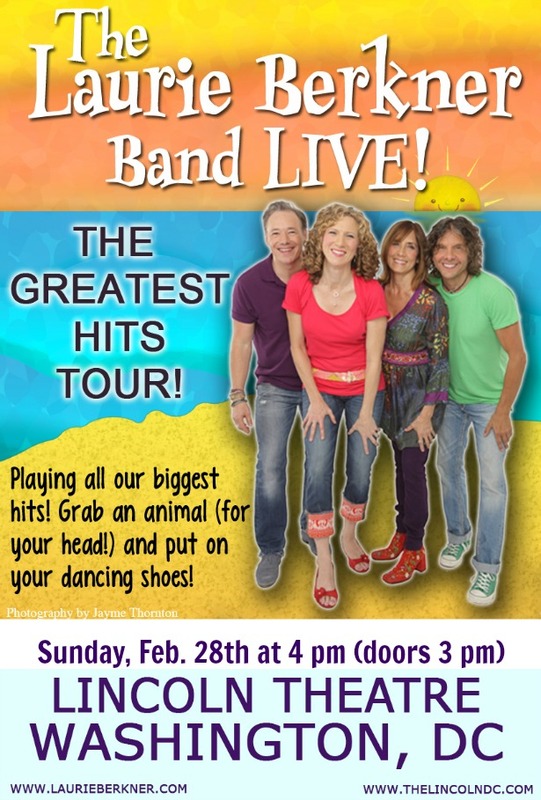 Take your kids to see the Laurie Berkner Band LIVE. You and your family will enjoy 1 hour and 15 minutes of singing all your favorites (“Laurie has a pig on her head…”, “Moon, moon, moon, shining bright…”) and dancing your socks off. Be sure to bring your favorite stuffed animal…for your head! Get tickets before they sell out!